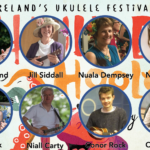 A heartfelt thanks to everyone for helping to make Ukulele Hooley 2018 the best we’ve had ! 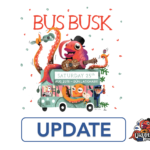 An enormous thanks to our fellow ukers who came from all over in their thousands to join the Big Jungle Jam At The Hooley – Incredible to listen to everyone lashing out all the Jungle favourites! 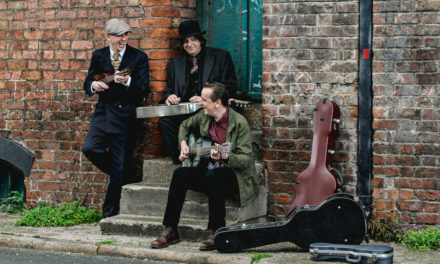 The Jam at the Hooley is now one of the Hooley highlights. 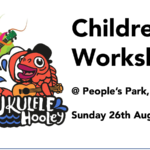 Thanks to all the fantastic artists for brilliant performances at the “Ukulele Hooley Concert” in the Peoples Park on Sunday – we were overawed by the generosity of spirit of you all-and we love having you! Thanks to everyone (and there are SO many) who helped to make the Hooley happen. 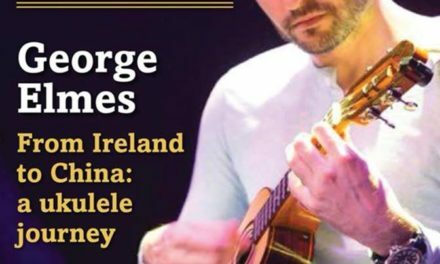 the Open Mic on Saturday night, and of course to the 7 hour “Hooley” concert in the Peoples Park on Sunday. 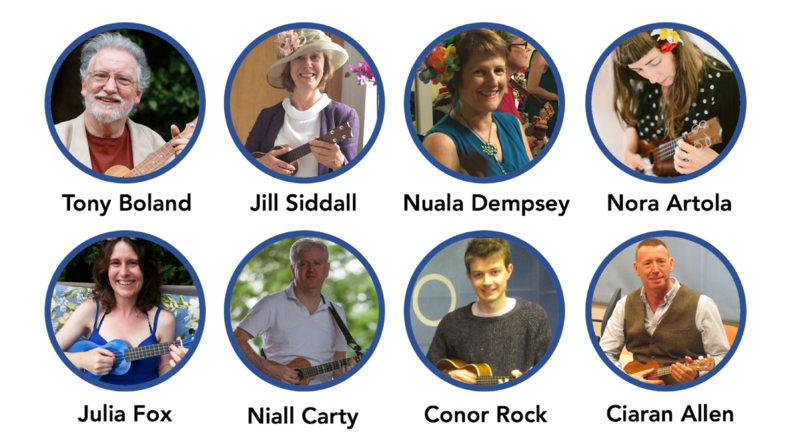 A special thanks to all our ukulele friends who came from overseas – we loved having you and hope you’ll come to our 10th anniversary Ukulele Hooley in 2019. 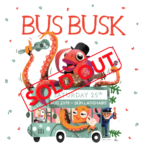 We’re all thrilled (and greatly relieved) that it went so well – just a bit knackered – but we’re really loving seeing your videos and photos. We are so grateful to Tom Byrne and all the fantastic people of the Eblana Club who made us so welcome and at home in our new home – The Eblana Club. 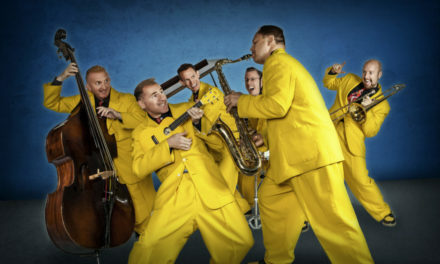 A special thanks to our main sponsors – Dun Laoghaire Rathdown Co Co who make the Hooley possible with generous support and making the Peoples Park available for the whole day of the concert. We’re also so grateful to those who subscribed to become “Friends of the Festival” – you helped it happen! 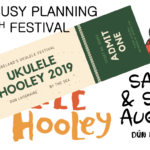 Finally, the Ukulele Hooley is a completely “not for profit” voluntary labour of love so we are so pleased you came and enjoyed the festival – it makes us happy! 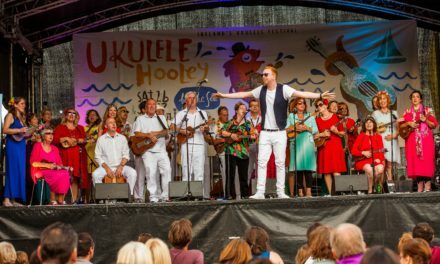 We are already being asked for the dates for Ukulele Hooley 10th anniversary in 2019 and as soon as we know – you’ll know !